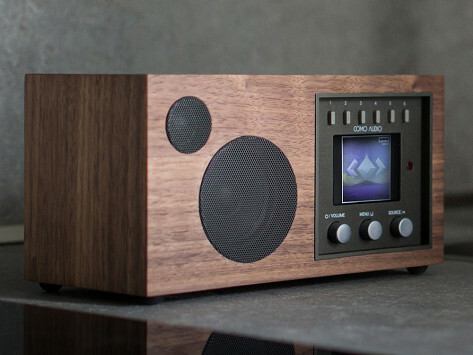 Inside this classic, 70s-inspired wooden design lives a robust, hi fidelity digital radio. Designed by sound guru and Audio Hall of Fame veteran Tom Devesto, this speaker is smarter than its good looks. Customize its buttons to play music from different sources (FM, internet radio, Bluetooth, Spotify Connect, etc. ), and save favorite stations/sources. It’s perfect for small to moderate-sized rooms. Want more than one Como speaker in your space? 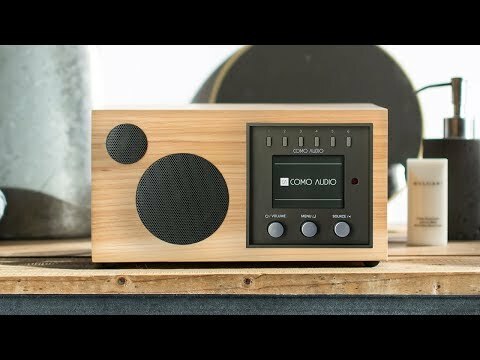 You can control up to five music systems from a single device. Dimensions: 5.19" x 9.44" x 7.08"
It’s beautiful and love it!